After the Harvest. 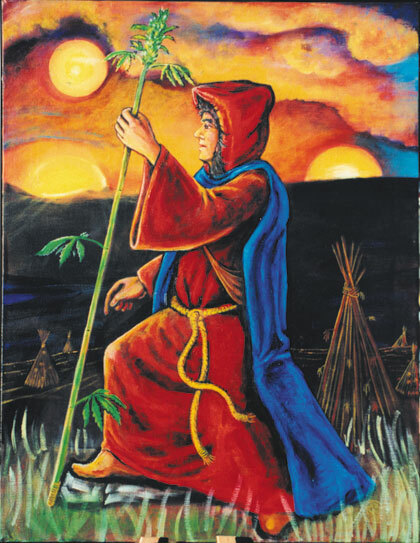 A wizard / traveller passes through the hemp bundles using a stalk as a walking stick. 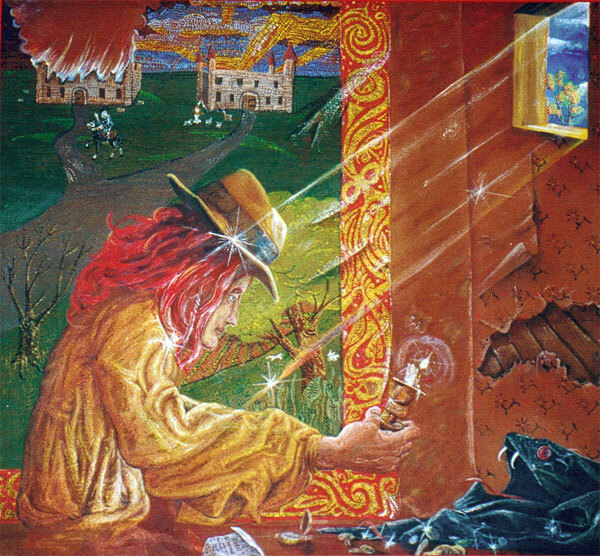 This painting is part of the Richard Lee collection. 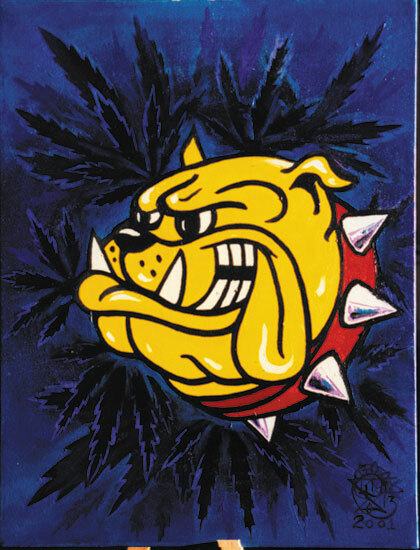 The bulldog in the midst of cannabis leaves symbolizes the Bulldog Coffeeshop formerly in Oakland CA. 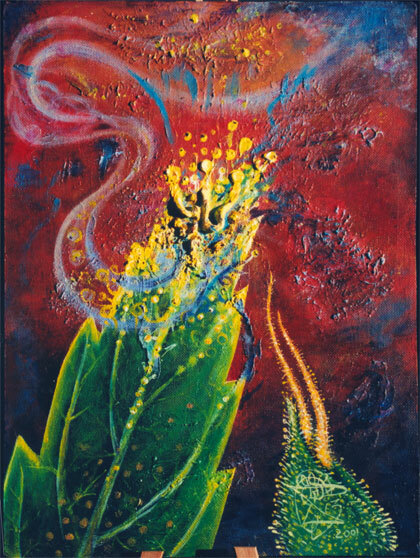 This painting is highly textured showing the trichome glands vaporizing or burning off the tip of a cannabis leaf. 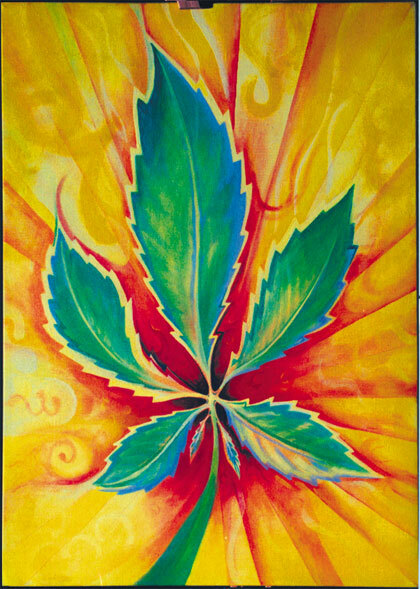 Leaf Us Alone 420 is in the Norm Kent collection and was painted for a NORML art auction. 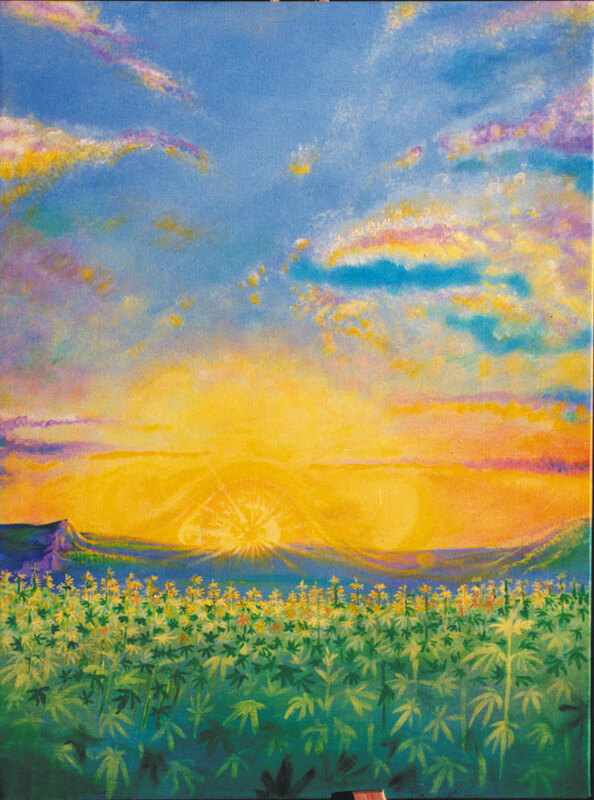 The sun sets on a field of cannabis that stretches in all directions. Allegory of the struggle between materialism and human conscience. Will he take the treasure or save his home from the fires? 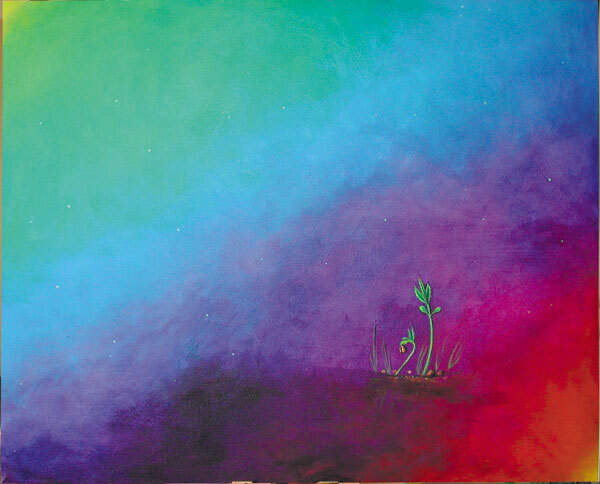 A cannabis seed sprouts amid the prismatic colors symbolizing hope and beauty. 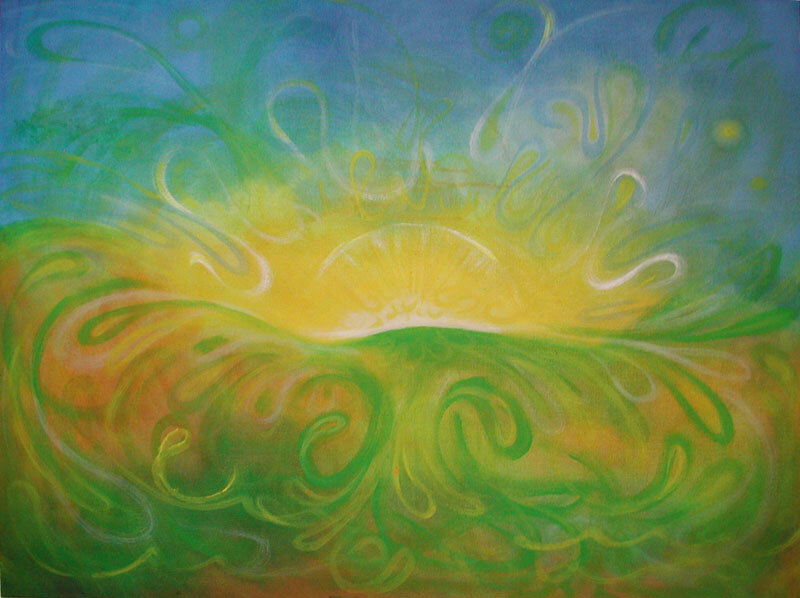 The doors of perception open to a setting sun or is it rising? Beginning or end? The circle is unbroken. 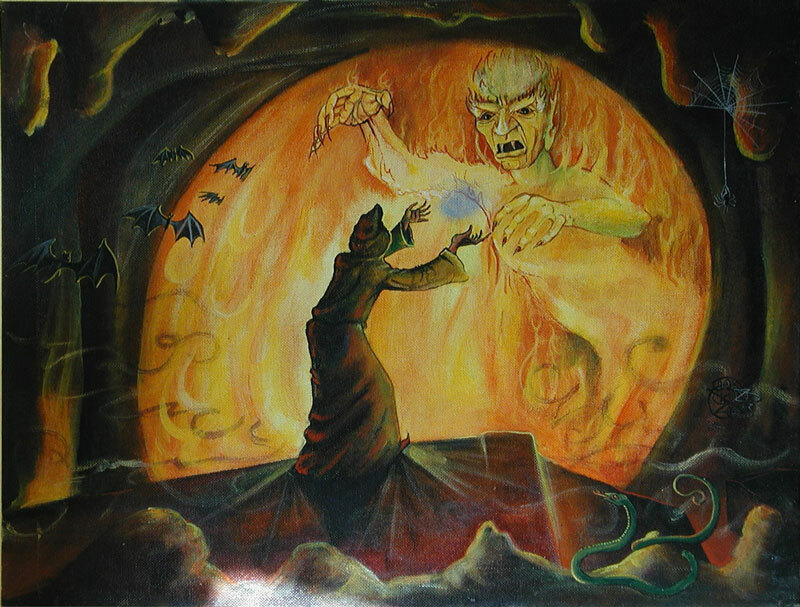 A wizard faces the fear that his own power might be less than that of the demon he has conjured. 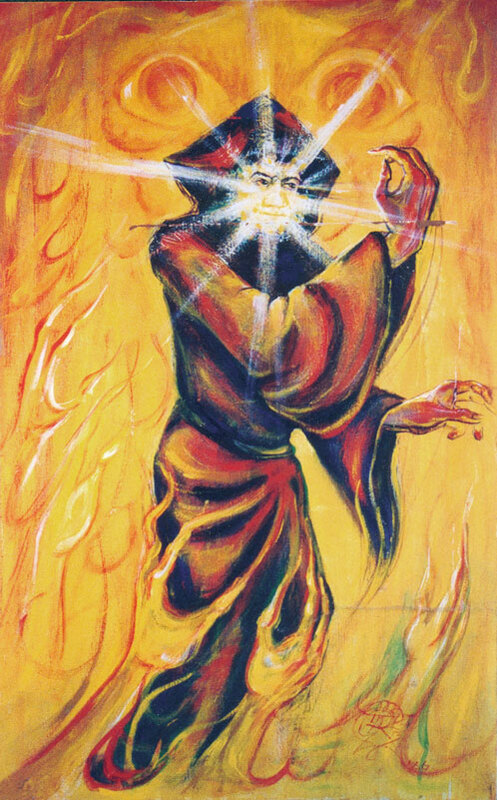 A wizard stands in a cave struggling to control the flaming demon that he found there.